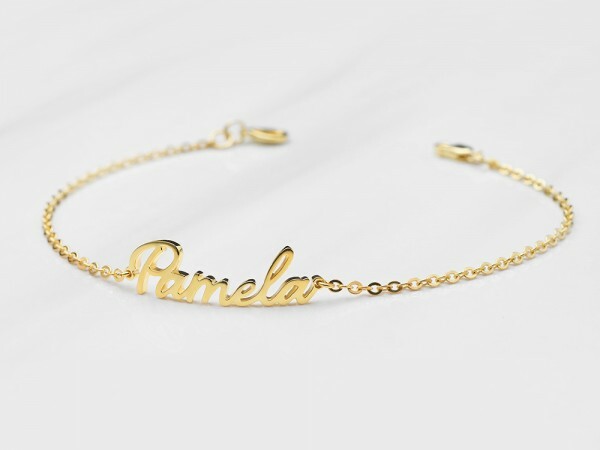 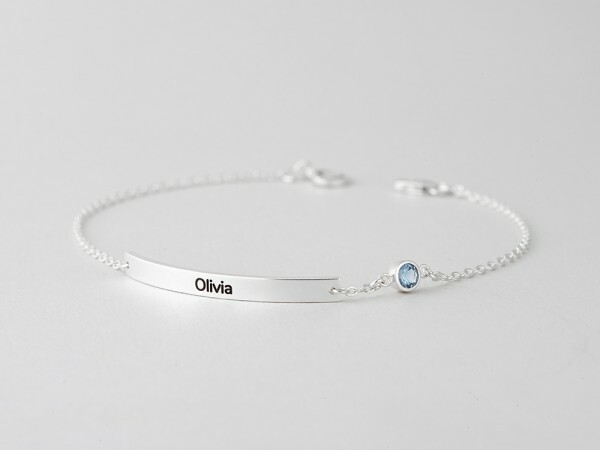 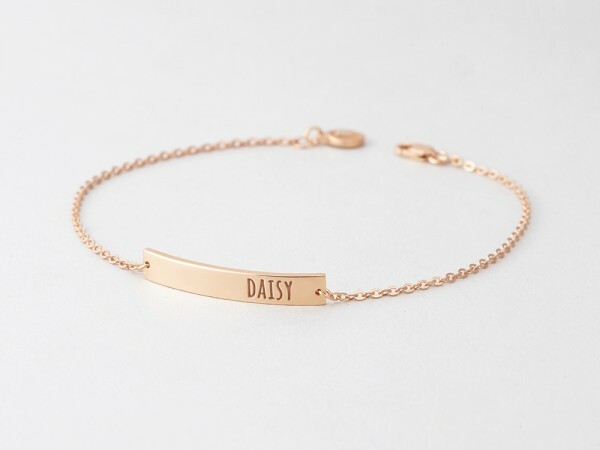 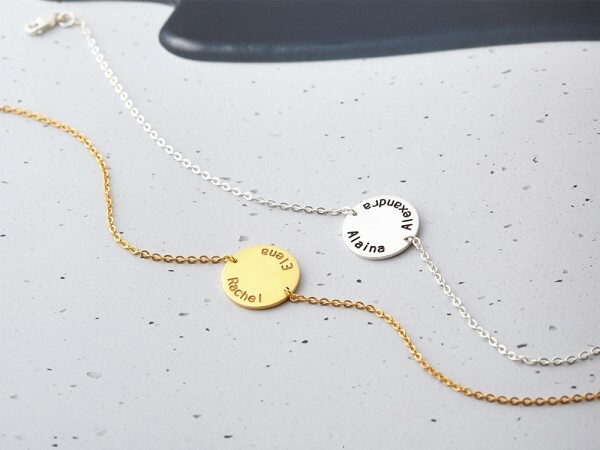 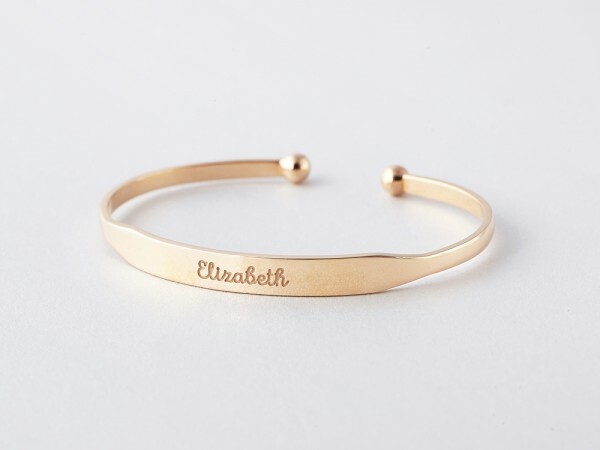 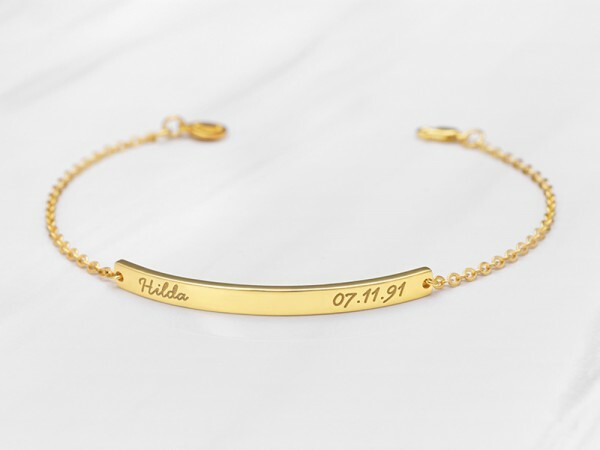 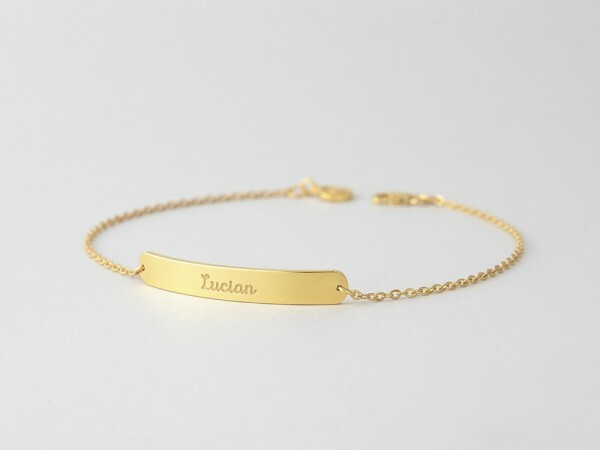 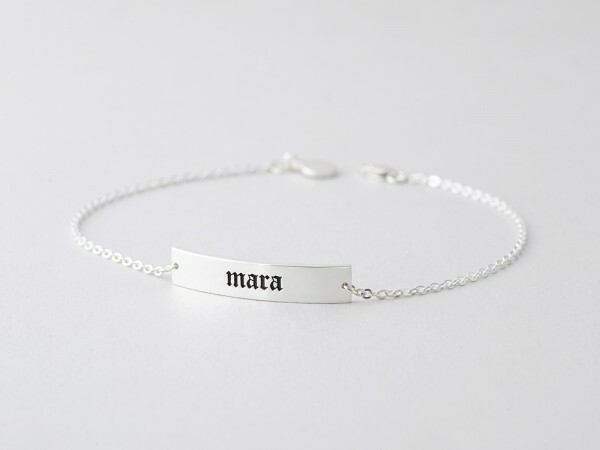 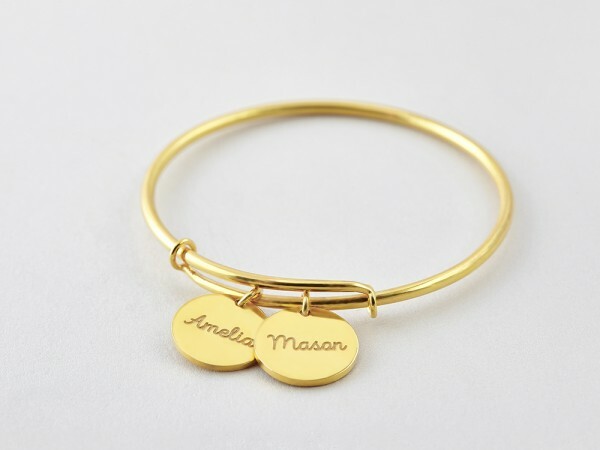 Make a statement with a custom name bracelet with either your name or your baby name. 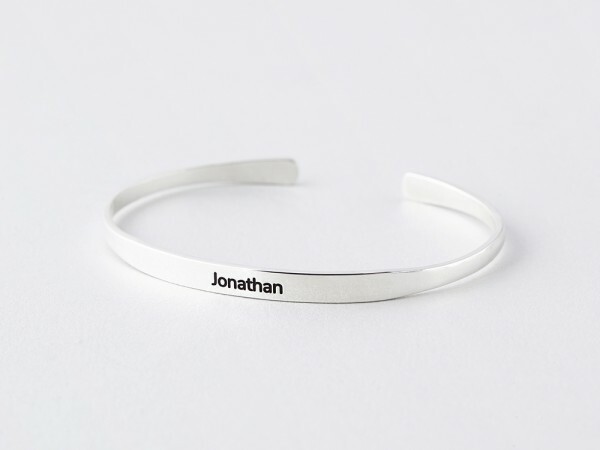 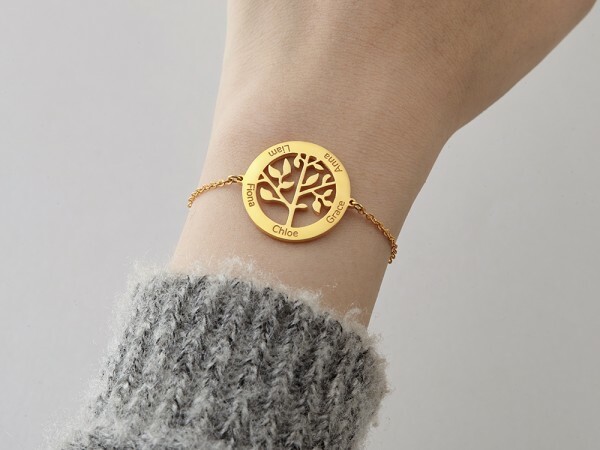 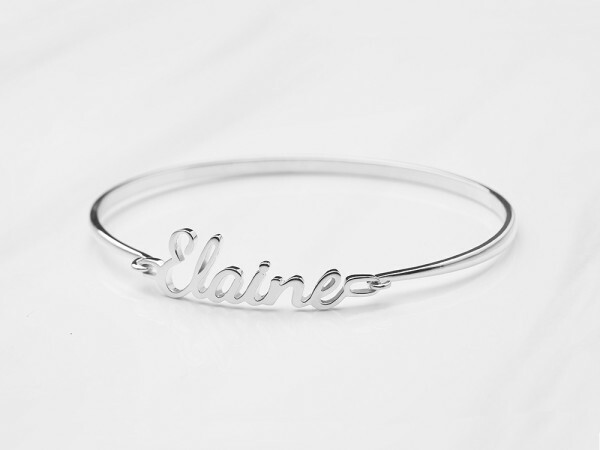 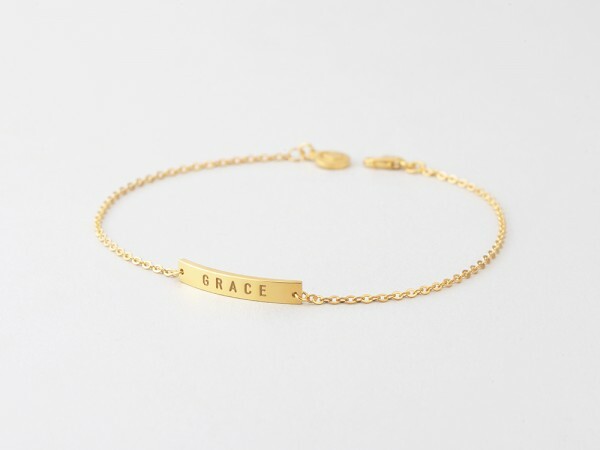 Choose from our wide range of styles, from name plate bracelet, to engraved name bangle and cuffs. 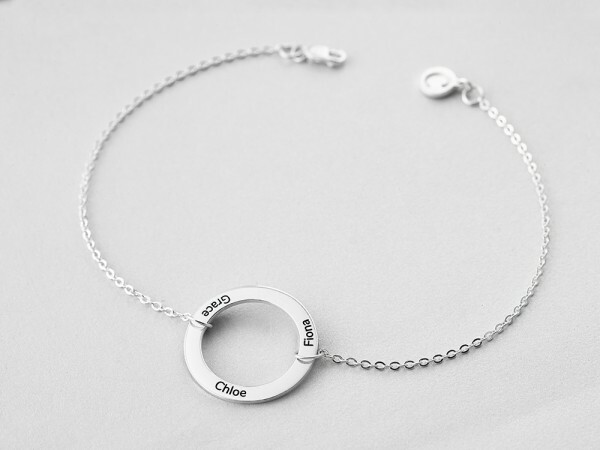 Available in sterling silver with 18K gold plate, they make great bracelet gifts for new moms, birthdays or Christmas.